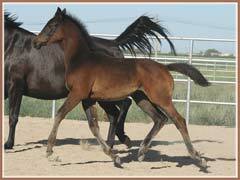 Only 5 days after our first E.H. Lehndorff's filly Reflexion arrived, Kalua delivered our second filly by Lehndorff's. 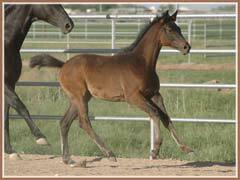 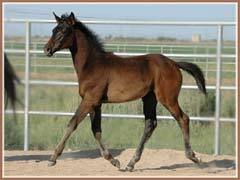 Kenya is another lovely filly out of the Heling daughter Kalua. 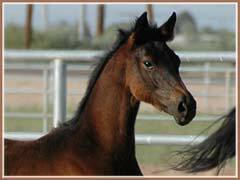 Kenya is typey with a beautful head and nice conformation. 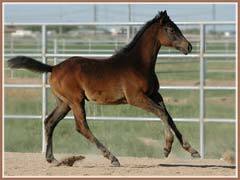 Combined with a good temperament and uphill movement, Kenya will make a nice competition mount or future broodmare. 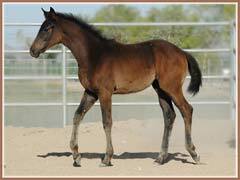 Congratulations to Judy on the purchase of this beautiful filly!